When we hear governments and organizations talk about environment and how recycling can save the Earth from full degradation, this is not merely a fad or a trend. Recycling is more than just a fashion statement or a political ideology. It is, in fact, the very foundation on which most of our lives are based on. Long before social media have become a daily part of our lives, people have been recycling their garbage and other materials, so that they can be used for agricultural purposes. But thanks to technology, it has become easier to recycle waste and other even toxic materials to create a Class A, humus-like material without any trace of pathogens. This humus-like material can then be used as soil fertilizer and conditioner to gardens, farms, rangelands, food, and crops. But before getting to this stage, waste and other materials go through the process of composting. Composting is a natural process. There’s no need to add any chemicals into a compost because everything is organic. It’s basically the breaking down of organic materials to produce a rich soil that can be used to plant greens, fruits, crops, etc. Any “waste” that was once “alive” can be used in a compost, so it contains fruits, vegetables, eggshells, tissue paper, garden waste, and many more. Anyone can start composting in their backyard. A compost is typically made with household waste, so there are basically two benefits when residents do composting in their own backyard: they reduce the amount of household waste they have and they return these benefits to their yard’s soil. The first thing you need to understand about the process and timeline of composting is that it takes from nine months to one year for a compost to get ready for use. This cannot happen overtime, so that’s why there are companies like BS Farm & Ranch that makes the process easier for you. But first, you have to learn how compost is done. Typically, there should be a compost bin where you can put the waste materials in. This bin is placed in an isolated location of the facility because remember, the compost will begin to smell once it breaks down. If this is being done at home, the compost bin should be placed as far away from the house as possible. Once the bin is set up, you can then throw in whatever organic waste you have collected. Remember, though, facilities maintain a good balance of brown and green. 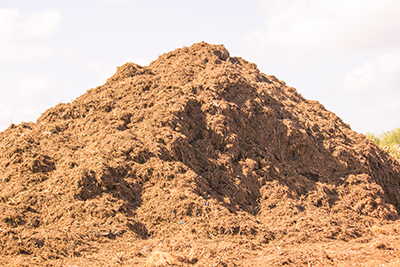 The compost cannot be all green (vegetable peelings, grass clippings, eggshells, food waste) and brown (garden waste, wood chippings, straw, yard waste). To make a perfect compost, there should be a 50-50 balance of the green and brown waste. Since the compost will smell, it is also a good indication of when it’s a good balance or not. If the smell starts to die down, facilities would add more brown waste into the mix. But even if it does not, a compost is a never-ending process. Waste can be added continuously into the mix until the compost is ready. As previously mentioned, it can take up to a year before a compost is ready for use. Once the compost turned into a dark, thick, moist soil with a fresh smell, then it is ready to be used. ← Is Organic Farming The Future Of Humanity?